How can you make money 24 Hours a day on-line? The way millions of people and companies now make money on-line 24 Hours 7 Days a week is with a MONEY MAKING WordPress Website Design that use 1 of the 3 Major strategies of making money on0line. These 3 Proven Systems can work for anyone interested in creating a website that will gain lots of traffic that can then be monetized using one of these 3 major monetization systems for on-line marketing. There are 3 major ways you monetize a WordPress website today. Google pays millions of website owners to show their ads on their websites and blogs. The system is called ADSENSE. Adsense is an advertising service that Google created so YOU can make money by writing about what you know about. It can be a hobby, a business or whatever you have developed expert knowledge in. They key to Adsense is having a blog or WordPress Website properly designed to show Google Adsense ADS on your content that you create easily on a properly setup WordPress Website. We have a MONEY MAKING WEBSITE DESIGN that includes proper setup of adsense code in Headers, on Posts and Pages and Footers and even Sidebars. We even properly setup ON PAGE SEO so when you create your expert content you can easily include what every Search Engine uses to properly index your pages and posts so you get lots of FREE TRAFFIC from search engines such as Google and Bing. We are expert coders so WE CODE a WordPress site for you properly so it shows adsense money making ads on your content and all over your site. You create the content, use the easy SEO fields on our design so search engines will find you and as you get traffic, the ads get clicked and your website becomes a MONEY MAKING FUNNEL that easy. CONTENT is KING and if you have expert knowledge about what you do for a living or a hobby, you will get TRAFFIC and that traffic will click ads from Google via adsense, IT IS THAT EASY. A website without proper on-site SEO gets no major traffic no matter how good their content is. Being able to display ads all around your content and all over your site in the proper positions, allows your adsense ads to be displayed to maximize clicks on the ads and those clicks can make you a minor amount per click and even many dollars per click, since some topics pay lots of money FOR EACH CLICK via adsense. Do you own a business that sells a product or service? Even a local company today can get lots of sales from the Net and a properly designed website can SELL your Products or your Services. We are experts at setting up WordPress sites to help companies market their Products and Services either locally, nationally or globally. Some businesses just need a HIGH RESPONSE LANDING PAGE to steer potential clients to a phone number and or email form. We are experts on HIGH RESPONSE LANDING PAGE designs. Other businesses need a secure shopping cart to SELL DIRECT to clients on-line. We are experts on shopping cart WordPress website design. There’s many great Affiliate Programs you can join and create a WordPress website designed to funnel new clients to your upstream program. These sites use custom code we can program into your WordPress website properly so you get credit for finding an Affiliate Program new clients. Amazon is an excellent Affiliate Program and once you join you need to have their code properly inserted on your WordPress website so you can create content to help Amazon sell products such as books and other items. 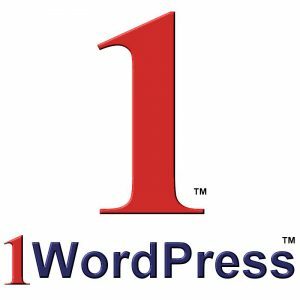 Many people call any website using WP (WordPress) incorrectly a Blog. A Blog is notevery WordPress site, but sites that operated while using either WP (WordPress) or a similar CMS (Content Management System). Blog’s are usually a personal site not a true company or business site, where someone writes about their life or give their opinions on whatever they think they are an expert in. Many company sites today have a section where their key officers of personal ‘blog’ about things related to the company. An example is news sites often have many ‘blogs’ so their top reporters can ‘blog’ about whatever. Since WP operates most of the top blogs in the world today, many associate incorrectly WP with being a Blog. It is a robust and well supported CMS (Content Management System). When a website is designed to sell a companies products or services, it’s just not correct to call it a ‘Blog’. It’s a business website with goods and services to sell that if it was designed within the WP core is using a CMS that many so-called bloggers also use. While a person pontificating on what they think they are an expert in is now called ‘Blogging’, it is really just writing. The Net has give a voice to anyone that wants to write and if you use proper SEO on your words and have enough content deemed by the algorithms of major search engines to be ‘rich’ enough to show up on the highly valued first view of SERP’s (Search Engine Response Pages) for the keywords you are developing content about, you can easily monetize any traffic today with systems such as Adsense or even an Affiliate system.